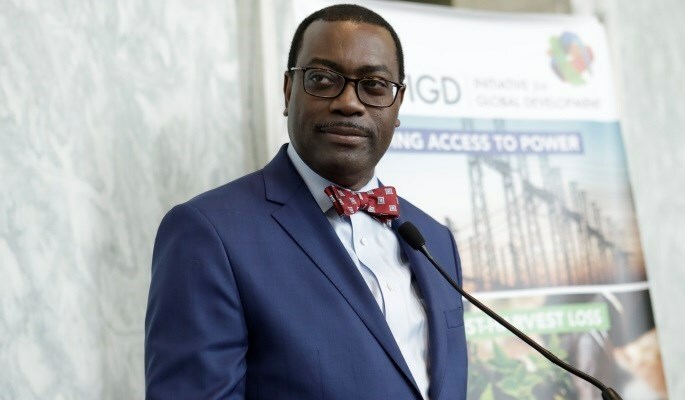 ABIDJAN, Ivory Coast – “The future of our continent is looking very promising indeed,” African Development Bank Group President Akinwumi Adesina declared in the opening words of his address to diplomats at a lunch organised on Tuesday, in Abidjan. Adesina referred to the Bank’s recent flagship publication, the African Economic Outlook 2019, which he noted that the recovery in commodity prices is driving domestic demand and infrastructure investment, while real Africa’s GDP continued to improve in 2018 to 4.1%. The Bank expects growth of 4% this year and 4.1% in 2020. “Africa will not develop through aid, but through investment”, said Adesina. This is whythe African Development Bank, with its partners, launched the highly successful Africa Investment Forum (AIF), in Johannesburg, South Africa last November, securing investment interest in 49 deals across Africa worth over $38 billion in just two days. The Bank’s High 5 priorities are already producing significant impacts across the continent,” said the Bank’s President.In 2018, 4.5 million people were connected to electrical grids.Nearly 20 million more people have access to improved agricultural technologies. Industrial investments in the private sector have benefited 1.1 million people. Some 14 million people have gained access to improved transport services, while another 8 million people have benefited from better access to water and sanitation. These impacts encourage the Bank to redouble its support for economic and social development in Africa.